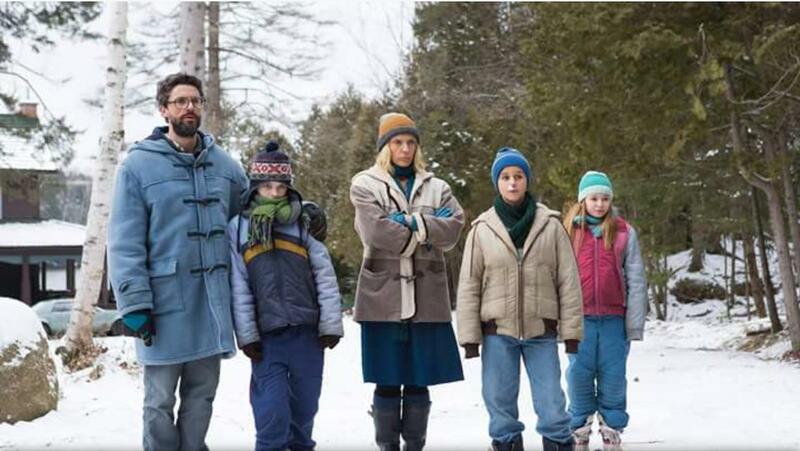 Birthmarked is a comedy about two scientists, Ben (Matthew Goode) and Catherine (Toni Collette), who fall in love and decide to study nature vs. nurture together. They have a child, adopt two others, and experiment on the kids by trying to raise them contrary to their genetics. Maya (Megan O’Kelly), whose birth parents were not smart, is pushed toward knowledge. Maurice (Anton Gillis-Adelman), who had very angry birth parents, is raised as a pacifist. And their own son, Luke (Jordan Poole), is steered away from the sciences and toward the arts. Can they show that nurture is stronger than nature (while pitching the idea to their benefactor, Gertz (Michael Smiley), Ben says they will prove that “no one is a prisoner to their genetic heritage”)? Since it is a comedy, Birthmarked is less about the experiment and more about the ways that experiment is effected by the people involved. It is not a rollicking, laugh out loud comedy. The humor here elicits far more smiles than belly laughs. The pace is a little slow, but it allows the characters and story to properly develop. There is no rushing from joke to joke; the story actually matters. It is pretty predictable in terms of its structure, yet it is also quite smart about the way its characters make mistakes. The actors play the situation totally straight. Toni Collette and Matthew Goode are both established dramatic actors and they successfully get across the emotions of their characters. Ben and Catherine played as more comedic characters would have turned the film toward farce, which is something this story would have had a difficult time supporting. Both of them are quirky enough already; making them silly would have undermined the story and hurt the overall film. Making them a little more realistic adds some actual stakes to the story’s central conflicts. The kids are all solid, though they do not get as much to do as the adults. They feel more like products of the story since they are, after all, an experiment. But the best support is provided by Andreas Apergis as Samsonov, the assistant Ben and Catherine are provided with. He is smart, observant and empathetic and seems like he has far more going on than anyone knows. At times it is almost as though he is coming in from another movie, maybe something by Wes Anderson (perhaps The Royal Tenenbaums, which this film resembles in tone). It is a well-written character and a funny performance that the film gets about as much as possible out of. 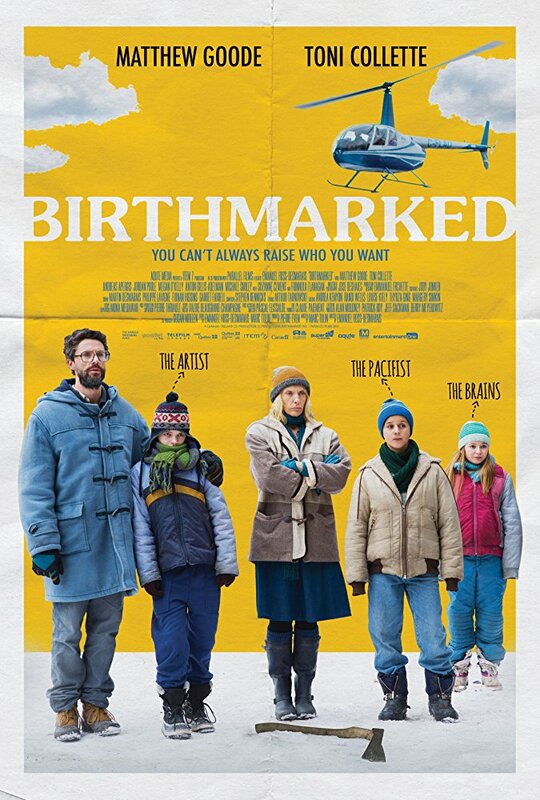 Birthmarked is a reasonably funny film, with good performances and a clever screenplay. The last act does not quite pay off in a satisfying way, but the rest of the film is pretty entertaining. It never felt as though the film was dumbing things down to make its point. It does bring up more ideas than it really has time to explore. However, the setup is compelling and I definitely liked it while I was watching it. In the end, it does not quite live up to its premise, but it is still worth checking out to see an intelligent adult comedy.